Documentary filmmaker Carl Gierstorfer and science journalist Jon Cohen talk about their work on HIV, AIDS and Ebola. 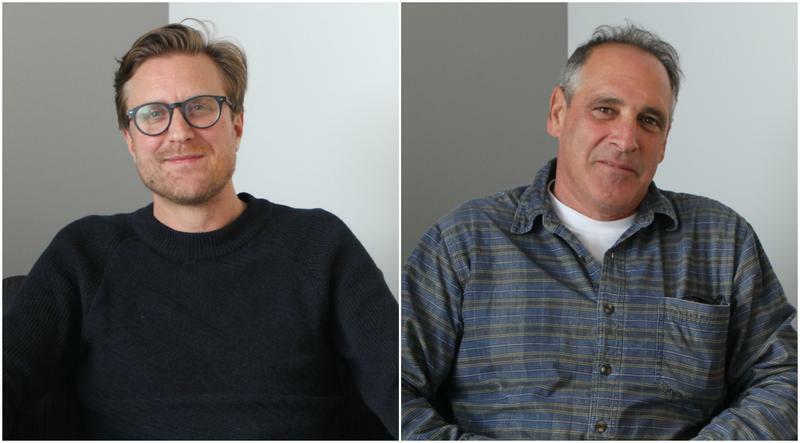 On Wednesday’s St. Louis on the Air, producer Alex Heuer talked with science journalist Jon Cohen, a staff writer for Science Magazine, and documentary filmmaker Carl Gierstorfer about their work on HIV, AIDS and Ebola. Both have received support from the Pulitzer Center for their reporting projects. Their work takes a look at the causes of diseases, the factors that allow them to spread and the stories of those impacted. Epidemic: when an infected person is infecting at least one other person in an area/region. Pandemic: an epidemic occurring across various regions. Endemic: a disease regularly found in an area throughout the year. Cohen has covered the HIV/AIDS epidemic for 30 years and authored "Shots in the Dark" and "Tomorrow is a Long Time." He said while humans are better prepared medically for pandemics, it’s easier now for diseases like Ebola to spread to cities due to the advancement in transportation. He said the rate of a disease spreading is determined by the response not by the virus. He aims to show the link between the spread of HIV and the time it takes to respond to it in the United States and three sub-Saharan African countries to show how information flows between countries. Gierstorfer directed films “We Want You to Live—Liberia’s Fight against Ebola" and "The Bloody Truth,” the latter looking at the origins of HIV and how colonialism impacted the spread of AIDS. Gierstorfer said the HIV viruses originated from chimpanzees and jumped the species barrier from chimps to humans around 120 years ago, “probably because people were butchering and eating chimps and getting exposed to blood,” he said. He notes colonialism’s role in creating conditions for the HIV virus spreading in Africa. “There were roads being built, there were people being shuffled around, there was a very early brutal period, there were rapid growth of cities – all these factors you need for a virus to spread,” Gierstorfer said. With the complexities involved in scientific findings, Cohen and Gierstorfer prefer to “hide it” through framing the stories around people. Cohen said it’s about “showing, not simply telling” the stories of those affected by the diseases through words, photos, video and audio. “And then by that time, I can slip in the most technical information in the world and I can talk about the CCR5-delta32 mutation (white-blood cell mutation) and not lose [people] immediately,” Cohen said. When: Wed., February 28, 2018 at 7:00 p.m. This first appeared in the St. Louis Beacon: August 5, 2008 - This week the world's AIDS researchers held the 17th Annual AIDS Conference in Mexico City. The news is not good.